You are here: Home / Focus / Do You Pursue Extraordinary? This word fascinates me. How about you? 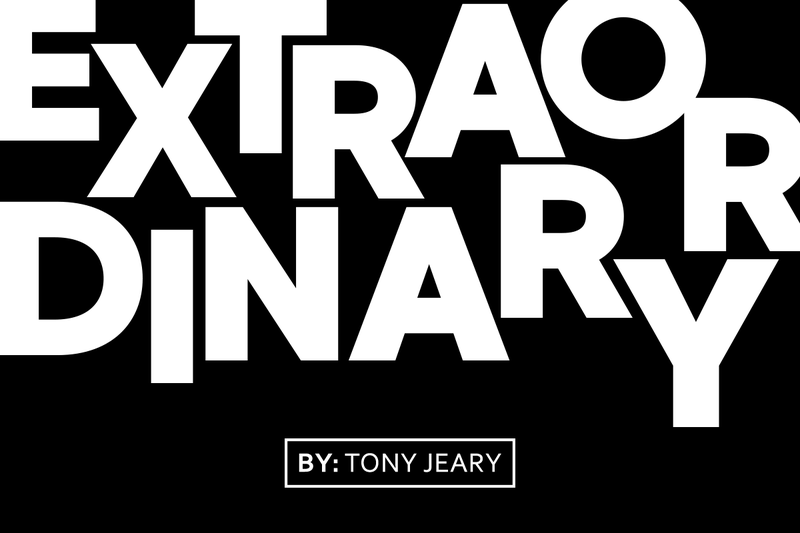 Extraordinary is how we want to be perceived in everything we do at Tony Jeary International. We create, host and facilitate extraordinary experiences for our clients. Extraordinary doesn’t settle for good, or even great. When I first heard this, I gave his reply a lot of thought. On one hand, Zig was communicating that things were great for him. At the same time, he was also implying that “good” simply isn’t good enough. I’ve worked with individuals and entire organizations that allow “good” or “great” to be good enough. How much better than good or great should I be doing? 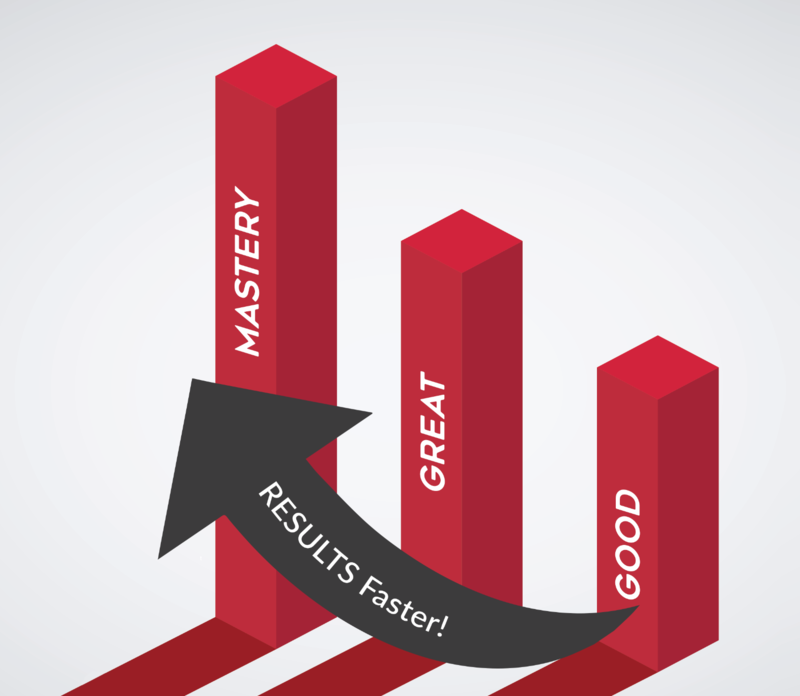 One of my favorite concepts is the pursuit of mastery. I think “extraordinary” captures the same ideals. I personally strive to experience mastery, the extraordinary, in every part of my life and inspire our TJI clients to do the same. How do you pursue the extraordinary in these areas of your life? 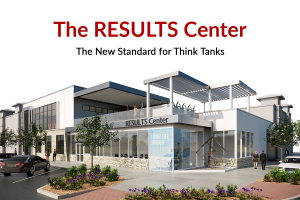 Relationships: Ask people you are closest to, like your spouse, your children, your parents, your co-workers, your clients and/or customers this question: “How can I be better?” You could be instantly enlightened by their answers. Leadership: Survey your team and ask them, “What can I do to help you become more successful?” Listen intently, write it down, type it into your phone. Simply ask, receive, note and support. Parenting: If you have kids, seek to be an extraordinary parent, and also seek ways to help your children become extraordinary, too. Identify what makes your kids extraordinary, and write it down. Help them “double down” on their natural talents. Speak life into them every day (words of genuine encouragement, label them with a positive word, compliment and appreciate their strengths) in a way that builds them up and watch your relationship with them grow. Health: Yes, you can have extraordinary health! Visualize what you want to feel like, look like and be like. Manage your sleep, eating (look for my new book coming out in January, Strategic Eating) exercise, stress, hormones and supplement intake. Too many people settle for good (or less) when it comes to their health. Pursue extraordinary health. Happiness: What makes you happy? What brings you joy? Be deliberate and intentional in creating moments of happiness for yourself. In addition, choose to be grateful often. 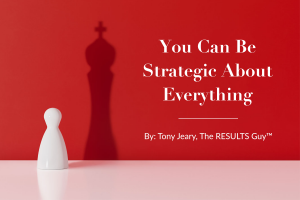 Be strategic about it. A spirit of gratitude enables you to positively impact your joy and happiness. My 50th book, Live Life Smiling, is coming out soon. I’ve co-authored it with my good friend and colleague, Daryl Homes, and we’ve compiled 20 years of study on happiness into one powerful book. Goal Setting: Become extremely clear on not just what you want to have, also what you want to share, experience, give and, of course, perhaps most importantly become. I challenge you to be extraordinary in three ways when it comes to goal-setting: First, set extraordinary goals. Second, become extraordinarily clear, and third, drive every day with extraordinary. Remember, you become what you think about. RESULTS: Ultimately, we practice a life of living in an extraordinary way so that we can live a life filled with extraordinary RESULTS. Pray for God’s favor. Gain real CLARITY, FOCUS your efforts and resources, and EXECUTE with daily discipline. Where can you reach another level, to be extraordinary in your life? In your business? Where do you settle for less? What’s the best next step you can take to enjoy an extraordinary life? 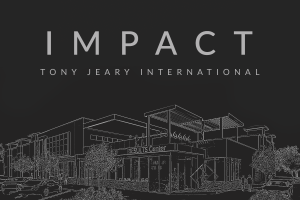 We are privileged at Tony Jeary International to work with extraordinary clients and help them pursue mastery at an accelerated pace. If you are a high achiever ready to experience Strategic Acceleration, either personally or in your organization, let’s discuss how we can work together in 2018. We’re currently filling our 2018 calendar for a select few results coaching clients, unique keynote experiences based on any of my 50 books and, of course, team strategy sessions right here in my private Strategic Acceleration Studio. Please contact Eloise, my Relationship Manager, at eloise@tonyjeary.com so we can send you a special VIP kit and discuss your needs, options and best timing.